Neurology India, 49, December 2001: 355-359-V. Kulkarni, M.J. Chandy, K.S. Babu; Department of Neurological Sciences-Christian Medical College and Hospital,Vellore,India. (1) Proprioceptive inputs from the cervical musculature are important in head-eye co-ordination and postural orientation. 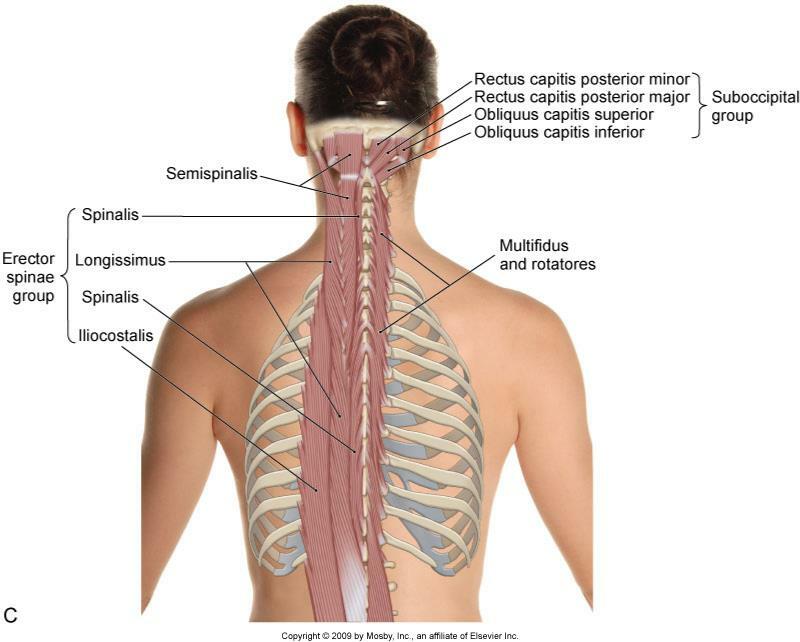 (2) The sub-occipital muscles in humans have an extremely high spindle content. (3) Altering the afferent input from the upper cervical region can result in disturbances of gait, dizziness, loss of balance, ataxia, etc. (4) Known causes of altering the afferent input from the upper cervical region include whiplash injuries, altered cervical blood flow, and disturbances of cervical sympathetic tone. (5) Cervical proprioceptive afferent inputs, vestibular afferent inputs (labyrinthine), and afferent inputs from the extraocular muscles converge at the vestibular nuclei and affect the thalamus and the cerebral cortex. (7) Other muscles with high spindle density are found in the hand and foot. (8) Human suboccipital muscles have an extreme high spindle density, far greater than 50-100/gm, and far greater than other human muscles. (9) The highest spindle density is in the inferior oblique muscle which crosses atlanto-axial joint and handles the greatest proprioceptive input. (10) The proprioceptive input from the sub-occipital joints is from sensing joint position and movements of craniovertebral joints. (11) Most importantly, sub-occipital muscles proprioceptive input (along with vestibular organ and oculomoter afferent input) do much more than monosynaptic excitation of alpha-motoneurons. They send afferent input that integrates at numerous regions of the neuroaxis, including the vestibular nucleus, visual relays in the mesencephalon (where the periaqueductal gray lives), the thalamus, and the cortex. The proprioceptive inputs from the cervical musculature play an important role in head-eye co-ordination and postural processes. Deep cervical muscles in humans are shown to have high spindle content. The density, distribution and morphology of muscle spindles were studied in superior oblique capitis, inferior oblique capitis and rectus capitis posterior major and minor sub-occipital muscles. The muscles were obtained, post-mortem from stillborn human fetus. The spindle density was calculated as the ratio of mean spindle content to the mean wet weight of that muscle in grams. The distribution and arrangement of spindles within the muscle and their arrangement was studied. The spindle density of superior oblique muscle was found to be 190, that of inferior oblique was 242 and the rectus capitis posterior contained 98 spindles per gram of muscle. No tendon organs were seen. The serial transverse sections of inferior oblique muscle revealed muscle spindles of varying sizes, length varying between 100-650 microns and, diameter 50-250 microns. A complex parallel arrangements of group of large spindles were seen in the belly of the inferior oblique muscle, while the polar regions contain few small isolated spindles. This article studied the density, morphology and distribution of muscle spindles in the small sub-occipital muscles of humans. Disturbances of gait occurs in experimental animals by interfering with sensory inputs from upper cervical region, by either damaging, anaesthetizing, excision or sectioning of neck muscles, or by cutting upper cervical dorsal roots. In humans, dizziness and ataxia follow damage or anesthesia of neck muscles, from whiplash injuries, from altered cervical blood flow, or from disturbances of cervical sympathetic tone. (4) with the afferent inputs from the extraocular muscles at superior colliculus. Proprioceptive inputs from dorsal cervical muscles are very important in the complex mechanisms of postural control and head-eye co-ordination. The muscles in this study were obtained from 24 to 48 hours postmortem. No tendon organs were found in any of the sub-occipital muscles assessed. High spindle density is considered when greater than 50-100/gm. Therefore, human sub-occipital muscles have an extreme high spindle density. The oblique muscles have significantly higher spindle density than the recti. This is consistent with other findings that show that rotation muscles have higher spindle densities as compared to other muscles. •The superior oblique muscle is inserted from atlas to the inferior nuchal line, and only a limited rotational movement occurs at the atlanto-occipital joint, and thus this muscle is subjected to lesser range of movement. The majority of rotational movements of head on the neck occur at the atlanto-axial joint. The presence of high spindle densities in the neck muscles concerned with head movement must relate to the motor control of these muscles. However, because the sub-occipital muscles are very small and because they are inserted very close to the craniovertebral joints with significant mechanical disadvantage, it seem obvious that these sub-occipital muscles can’t bring about any significant head rotation. The authors note that the presence of such a high spindle density of the sub-occipital muscles, along with the paucity of tendon organs, suggests that these muscles do not cause joint movement, but rather sense and monitor upper cervical joint position and movement, sending afferent information into the neuroaxis. The authors note that even though other muscle spindle afferent input from other small muscles (like lumbricals) are monosynaptic excitatory to alpha- motoneurons, that the processing of spindle afferent input from the sub-occipital muscles is probably different. The supported model is that upper cervical mechanical afferentation is dependent upon positional and movement parameters of the sub-occipital joints and such influences on the muscles. In turn, this mechanical afferentation influences the brain through relays in the vestibular nucleus, superior colliculus, thalamus and cortex. This article includes whiplash trauma as a known cause of disturbance of upper cervical mechanical afferentation.